- You will develop a more empowered self-expression in all areas of life! - You will have more emotional availability and the means to express your feelings! - You will gain a greater response potential as a dancer, singer, player. - You will feel more personal peace and presence. - You will learn about the inner tools needed to understand your own personal freedom of expression. - You will develop a cognitive understanding of the guiding principles of freedom of expression. 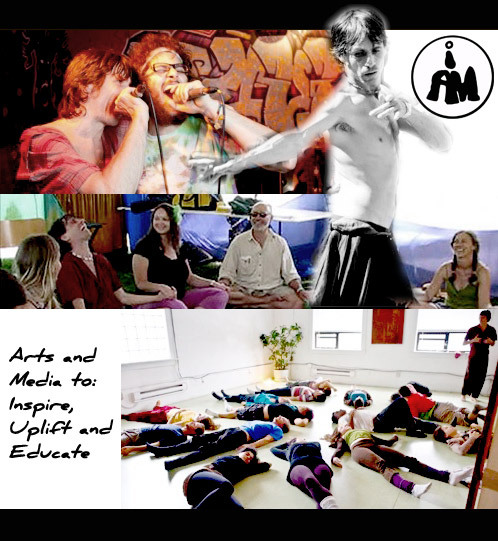 Overview: of iAM Freedom 10 week Fall 2018 work-playshop series. To develop the power, presence and the abilities to freely express, through creative movement, voice, and play. Utilizing the human expressions of Dance (movement), Singing (voice), and Clowning (play) to develop ones own unique understanding of Freedom through self-expression. IAM Freedom (and all iAM work/playshops) revolve around guiding principles rather than techniques. Though techniques are utilized throughout, they are designed to illuminate the underlying principles that are at work beneath all forms of self-expression.